Formula One’s impressive improvements in safety are on display almost every race weekend, as drivers walk away from crashes that would have been disastrous in previous generations. It used to be that driver deaths were routine, Sir Stirling Moss and Sir Jackie Stewart have talked at length about their experiences knowing they would not finish a season with the full line-up of drivers they started the year with, that friends and colleagues would tragically lose their lives in motor racing accidents. Thankfully, the sport has moved on a lot since then and drivers have survived barrier impacts that are frankly staggering. But there’s still work to be done, and recent events have brought the debate to the fore once again. The death of Jules Bianchi highlighted a growing trend in motor sport – drivers are so well protected in their bodies, that it is now head injuries that are prevalent. The governing body, the FIA, have seen this and reacted, commissioning the safety groups to come up with a solution and we have seen the results of that being tested at various race weekends and during testing. The solution to this dilemma is an example that goes to the very heart of this safety debate – if you want to protect driver’s heads, then cover the cars with a cockpit. Ah, but that is changing the nature of the sport. Sportscars have covered cockpits, not Formula One cars. Okay, then we are dealing with the fact that F1 drivers have exposed heads, there’s not an awful lot you can do about it. How dangerous should the sport be, and if you sanitise it, are you taking away from the essence of F1? The current proposed solution is a halfway house hoping to sit in the middle of all these debates. The halo cockpit device essentially provides raised carbon fibre to protect the drivers heads, but doesn’t cover the cockpit completely in an effort to keep the single seater series an open cockpit event. Some drivers are in favour of the idea, others have been very vocal about the disappointing look and feel of the cars once the device is installed. Changing the look of the cars is an area that is very precious to some of the more dedicated fan base, which is another reason the closed cockpit solution doesn’t appease them. The halo device, for the most part, doesn’t look good bolted onto the top of a modern F1 cockpit. These cars have already been struggling in the looks department, although progress was made in 2017. Is it worth making such ugly cars that fans don’t want to look at them, in a half-hearted effort to protect a driver’s head? The other part of this debate centres on what the drivers think, and ultimately whether they should be consulted at all. Naturally, if a driver is aiming to progress to F1, he has reasons for that which probably amount to the speed, the heritage, the status and yes, a little bit the danger. Feelings are mixed in the paddock, but some drivers say the threat of danger is part of the thrill of the race, part of the reason they race and we watch. Others say they race to win and that risking their lives is an uncomfortable by-product of that, minimising that risk is always the ideal. You would think that being right at the heart of the debate, the ones in the hot seat, they should be able to make up their own minds about how much danger they want to face. But let’s not forget that you have to have a certain mindset to race these cars anyway, that need for speed, that craving to eke out the extra tenth of a second. When it comes to such minimal measurements and high adrenaline activities, it’s easy for a driver to push to the back of his mind the risk and focus only on the reward, so perhaps they aren’t the best person to ask after all. In the end, F1 has settled for a committee, the Safety Working Group, who are plotting and planning ways to improve the safety of the sport in the future. All we can do is watch and see how it develops, and debate each step along the way, naturally. Thanks for listening to this mini series episode, part of The Great Debates. We’re more than halfway through the series now, with just three short shows left. Have you been enjoying the series? Has it raised or answered questions in your mind? Let me know, sidepodcast.com/contact. 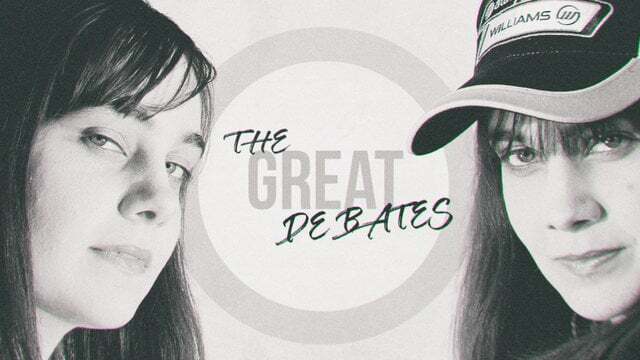 And please do join me again tomorrow for another episode of The Great Debates. Previous post The Great Debates - Is F1 a team or individual sport? Next post The Great Debates - Should classic F1 circuits be so highly rated?